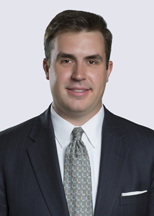 Andrew Clark is a litigation attorney who focuses his practice on complex commercial litigation matters, with particular emphasis on intellectual property licensing disputes, trade secret misappropriation, securities claims, and private equity disputes. He has experience appearing in numerous courts in Michigan and throughout the country, including in Delaware, New York, New Jersey, Georgia, and Illinois. Andrew represents clients in all phases of litigation, and has significant experience drafting and arguing dispositive motions and managing large scale, complex electronic discovery projects.